As I was having breakfast with the Beloved and his colleague , a dear friend and fellow “shrink”,our conversation naturally shifted from the banalities of life to the State of Man. I am not nearly intelligent enough to keep pace, so I found myself drifting off with thoughts of the dearly loved Three Penny Opera, and in particular the marvelous Pirate Jenny. 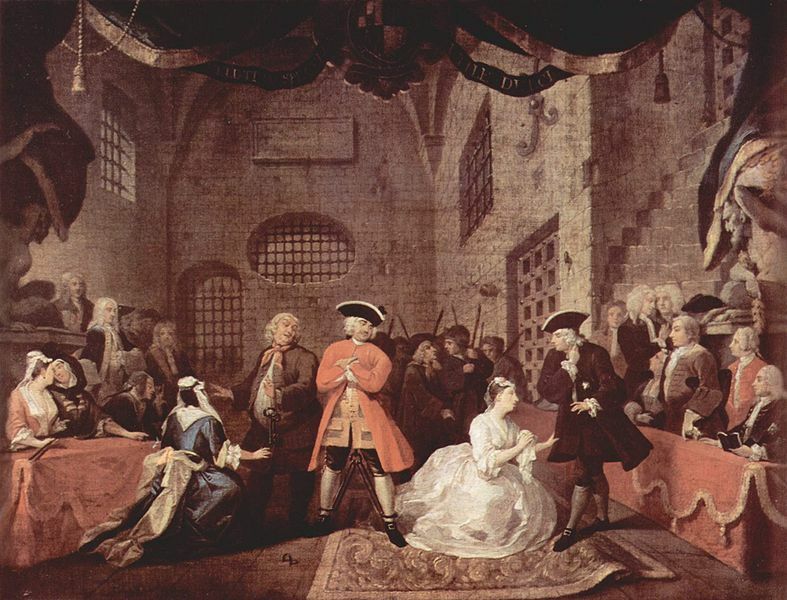 The Beggar’s Opera which explores Man’s rather unsavory side provided rich inspiration for the lyricist Bertolt Brecht, who first wrote Pirate Jenny in 1927;perhaps inspired by the London revival of The Beggar’s Opera in the twenties. 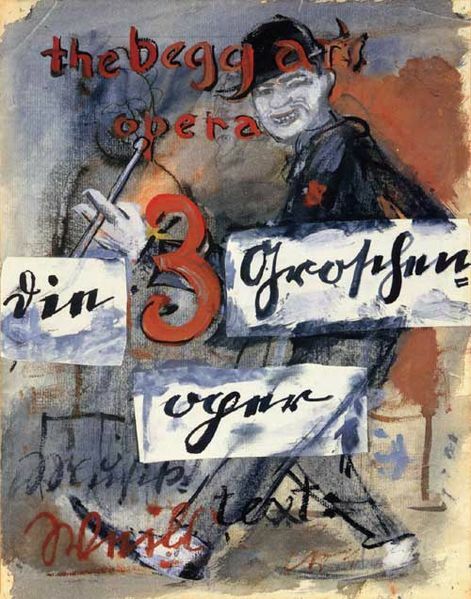 With Kurt Weill providing both the music, and the muse, in this case his wife the marvelous Lotte Lenya; Three Penny explores the theme more deeply. I love many recordings of ” Seeräeban Jenny”, Nina, Uta, Ella, but one cannot help feeling that Weill’s muse was the finest. This clip from the 1931 film of Three Penny bears that bias out. 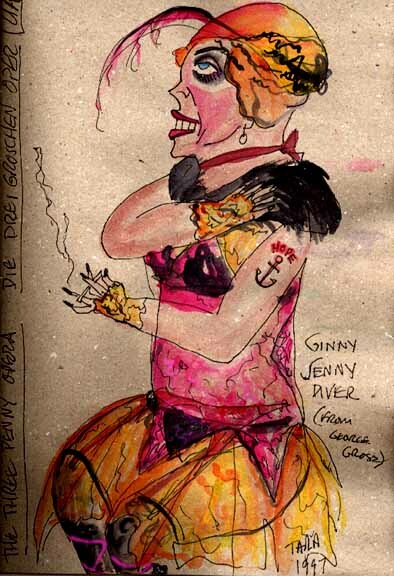 This unidentified sketch of our beloved Jenny, captures her spirit in the fashion of George Grosz. George Grosz was particularly adept at capturing the despair and wretchedness of man. Why his images beguile me as they repulse is perhaps a question best left to an analyst. 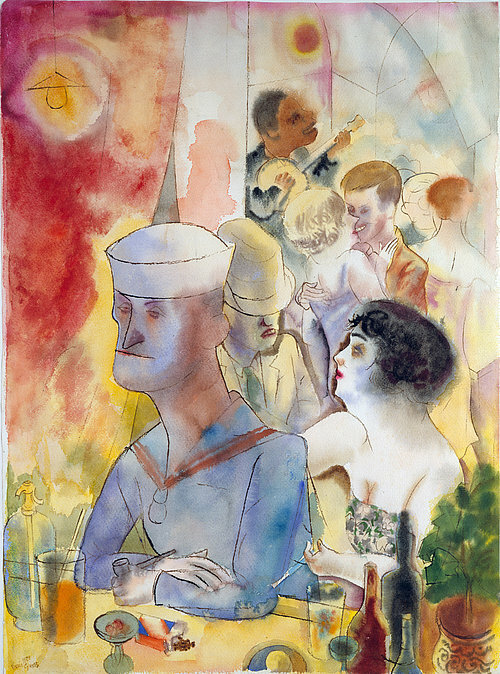 Grosz certainly captures the lonely despair many have experienced sitting at a bar into the wee hours of the night. Sad painful hopefulness. Jenny must feel this, hence her desire to chop off the heads of her oppressors. Can’t blame the gal. I first became aware of Brecht/Weill/ThreeePenny through my first partner Douglas. Douglas had marvelous taste and an incredible love for dark art. 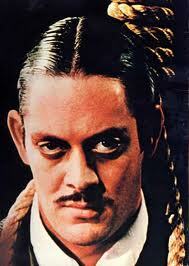 He adored Three Penny, and he particularly loved the production starring Raul Julia as Macheath. Douglas fancied a physical similarity to Mr. Julia, he was correct in possessing that vanity. In the following clip, The Cannon Song,Julia captures Man’s brutality, I particulary love the “beefstak tartar” refrain, it has always amused me. 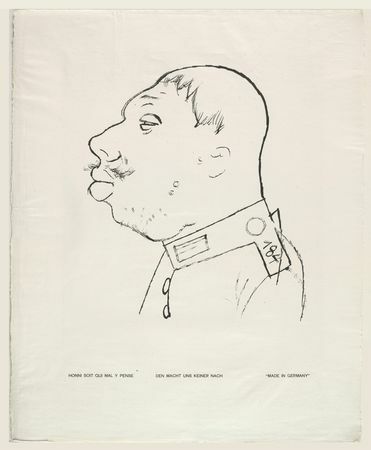 Again I turn to Grosz, his famous “Made in Germany” captures the silly pompousness of so many folks, men in particular. 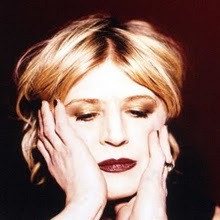 What actually inspired my thoughts of Jenny and wretchedness, was the always divine Marianne Faithful and her evocative interpretation of “Pirate Jenny”. I have a particular fondness for the line “as the soft heads fall”, chilling revenge. I would like to include this clip of the Tiger Lillies “Bully Boys” which illustrates what ultimately happens to all those wretched Silly Bully Boys. In closing I would like to dedicate this post to the aforementioned Douglas, who ultimately found our wretched state too much to bear. I miss him and wished he could have seen past the ugliness. This entry was posted on August 19, 2010 at 5:11 pm and is filed under 18th century, 20th century, Bertolt Brecht, George Grosz, John Gay/Beggar's opera, Kurt Weill, Lotte Lenya, Marianne Faithful, The Tiger Lilies, Three Penny Opera. You can follow any responses to this entry through the RSS 2.0 feed. You can leave a response, or trackback from your own site. Ooh, I forgot about the Tiger Lillies. Thanks for reminding me! marvelous, aren’t they, they are my Id. I have always loved the trio Brecht, Weill and Lenya. 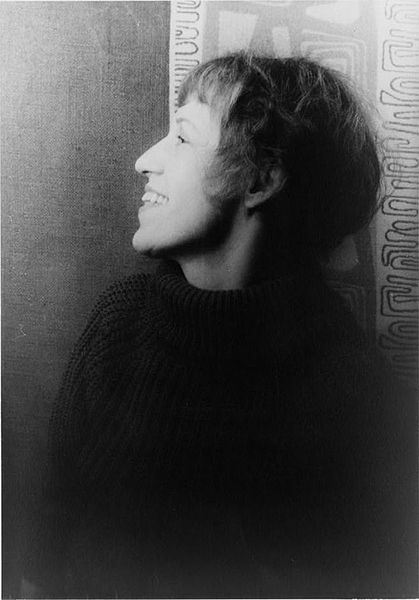 I have heard lots of different versions of Brecht/Weill, even David Bowie, but have to say that the only one that does it for me is Lotte Lenya, such a fabulously atmospheric voice, and so heavy in irony. The three seem to sum up so perfectly one of the most interesting, though short periods in German culture. Seems that I have to thank you again for yet another excellent post! Agreed Lenya is pretty perfect, good enough for Weill, good enough for me. Though i have been obsessively listening to multiple recordings, I do love Ute’s rendition, but i think Faithful captures the real grit and beauty. Perhaps i’m just a great fan of the lady. I have to thank you for another excellent response my friend.